A native of the Maiden City aka Derry, Claire Allan was a journalist before she turned her hand to writing books. Now she’s The Irish Times bestselling author of eight women’s fiction titles and ‘Her Name Was Rose’ is her debut thriller with Avon Books. Hello! I’m a 42 year old, mum of two (one son, 14 and one daughter, 9) from Derry. 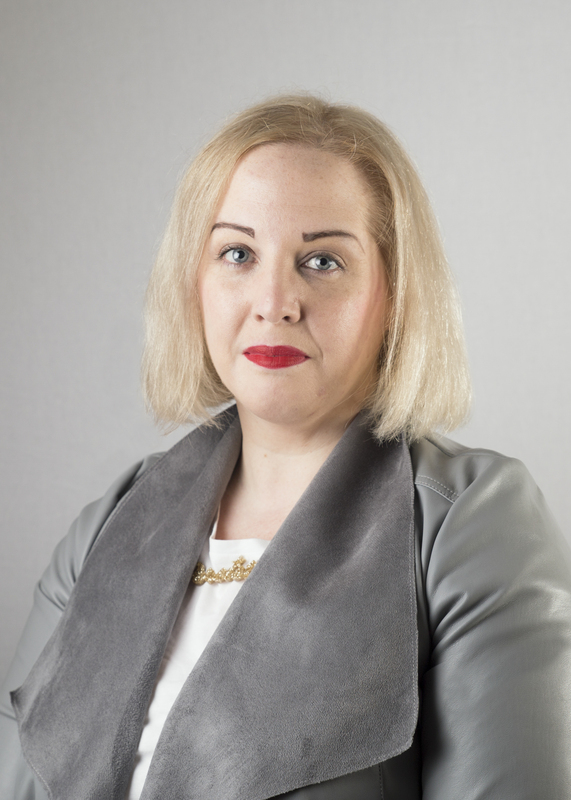 I worked as a journalist for 18 years while also writing women’s fiction which was published by Poolbeg Press. I decided to make the leap to writing full time two years ago, which was mildly terrifying! I’ve always written and always loved to read so from a very young age I hoped to one day be a writer. As a journalist I worked for the print media because I wanted to be paid to write for a living. I decided when I was 29, after a very dear friend passed away, to sit down and write my first novel. And the rest is history. Ideas can come from the strangest of places. Sometimes it’s a snippet of a conversation, or I can see an interaction between two people which makes me wonder what their story is – and I love making up a story for them. 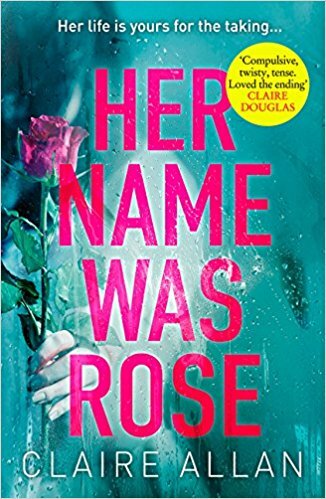 When it came to ‘Her Name Was Rose’ the first line “It should have been me” just popped into my head and refused to leave. I became obsessed with building a character and a story around that line and it developed from there. At the same time, I was intrigued by how social media has changed how we grieve collectively. And how we portray ourselves. It was fun to tease a story out from that. If you could rewrite any book, what would it be? Oh Gosh, of my own books? I look on my first book ‘Rainy Days and Tuesdays’ and can see how I’ve learned so much since then. It’s a very raw and ready book in a lot of ways and it has the most “me” in it. I do find it difficult to read, because it raises a lot of emotions for me and my previous experience of post-natal depression. But also, technically, I can see how it could be made a better book. If it’s a question about any other writer’s book? I wouldn’t rewrite any, but I would have loved to have written ‘Rachel’s Holiday’ (Marian Keyes) or the brilliant ‘Eleanor Oliphant is Completely Fine’ (Gail Honeyman). You originally wrote female fiction for Irish publishers Poolbeg, what made turn to write thrillers? I fell into it by accident. It was never really my intention to write a thriller and to be honest, I would never have believed that I could have. I loved writing women’s fiction and I’m very proud of the books I wrote and published with Poolbeg and I’m eternally grateful to them, especially editor Paula Campbell, for her support over the years. But I did want to write something a little darker. It was put to me by an editor that f I wanted to go darker, I shouldn’t do it in half measures. She gave me permission in a way to unleash my dark side and I found writing a book so completely different to anything I had done before to be a brilliant experience. It was great fun to be a bit evil! For me it is the combination of a pacey plot but with lots of heart too. I like my books (both that I write and read) to be character driver and to pull at the heartstrings in a myriad of ways. If the reader can relate to the characters in the book (even the bad ones, because no one is simply either bad or good, there are shades of grey in everyone) that goes a long, long way to making a book work for me. Who’s your favourite literary hero or heroine? There’s no secret that my literary hero is Marian Keyes. I read ‘Rachel’s Holiday’ when I was a 21 year old student in Belfast and I have read each and every Marian book since. I feel as if I’ve grown up with her. Her books opened up a new world to me – of serious, but jaw-droppingly funny takes on life. Of real characters with real flaws. On a personal level, Marian has inspired me not only with the longevity of her career but the way she has battled her personal demons and helped others by being so very open about those. It was a real dream come true when she read ‘Her Name Was Rose’ and agreed to endorse the book. I had to pinch myself. Oh my, that’s a hard one! (A brilliant one, but a tough one). I tend to get star-struck around authors but I’d love to get Marian Keyes, Jojo Moyes, Anna McPartlin, Kate Beaufoy and Rowan Coleman all in a room together and talk books. If I could bring back a writer from the dim and distant past, it would be amazing to have Jane Austen in the room, or Emily Bronte – but I fear she might be a bit too emo for me. Genuinely it was to go throttle at everything you write. Let your mind run wild. Don’t be constrained by the person you are day to day, or who you think you should be. Don’t be cautious. Write and love it. Well, the aforementioned ‘Rachel’s Holiday’ which is my go-to read when I’m feeling a bit meh and it picks me up every time. I think I’d also bring ‘Wuthering Heights’ which I keep meaning to re-read. For a new book, I’d bring ‘The Book of Love’ by Irish writer Fionnuala Kearney which will be released in October. I’ve had a sneak peek and it is just the loveliest, most life affirming, beautiful book. I could read it 100 times and not tire of the story. Read, read and read some more. In your genre and in others. See how other authors get it right, or wrong. Pay attention to structure and what keeps you turning the pages. Pay attention to how dialogue is written. You can’t write without knowing what works. Yes! While all eyes are on ‘Her Name Was Rose’, I’m also working on my second thriller ‘Apple of My Eye’ which is about a mother’s obsession with her daughter – and which will be published by Avon in January 2019. I’m also playing with a few ideas for a third thriller. It’s at the exciting stage where new characters are just starting to form in my head. You can buy Her Name Was Rose from Amazon and is available to buy from good bookshops.